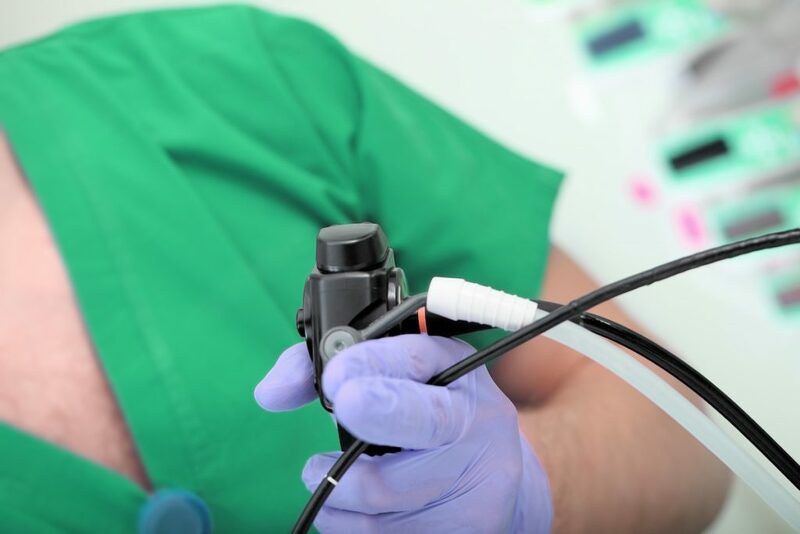 Bronchoscopy in severe asthma is predominantly indicated to rule out other causes of symptoms, particularly vocal cord dysfunction (VCD) – although nasendoscopy is usually adequate for this purpose, and endobronchial obstruction (e.g. foreign body, tumour or impacted mucus). Biopsies of the central airways may show typical changes of severe asthma (e.g. thickened reticular basement membrane, submucosal eosinophils and lymphocytes). Basement membrane thickening is characteristic of asthma. Other pathological changes (e.g. increased airway smooth muscle, increased vascularity, mast cell degranulation, increased mucous gland size) are difficult to accurately assess from a small number of proximal airway biopsies. The distribution of the pathology of asthma in the bronchial tree is likely to be heterogeneous, which reduces the representativeness of small biopsy samples (Elliot et al. 2015). Bronchoalveolar lavage for differential inflammatory cell counts will likely be of limited value and would not be an indication for bronchoscopy in severe asthma. Transbronchial biopsy of the peripheral airways has shown inflammation and structural changes in the small airways. The representativeness of these samples is unclear and their usefulness in phenotyping individuals is yet to be established. The risks of pneumothorax or bleeding, although small, currently limit this application (James et al. 2002), except to help identify specific lesions or diseases (e.g. malignancy, sarcoidosis).